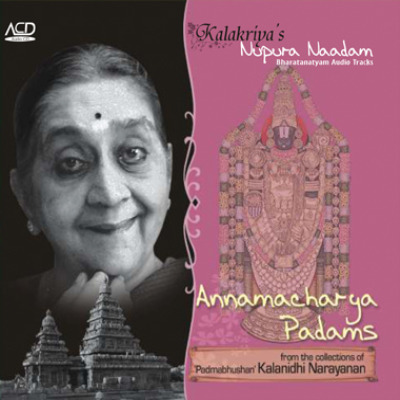 This audio CD presents an exclusive collection of padams by Annamacharya, the mystic saint composer of the 15th century. Selected by 'Padmabhushan' Smt. Kalanidhi Narayanan, the celebrated Abhinaya exponent, they proclaim the composers madhura bhakti- a kind of devotion in which the devotee fancies himself to be the beloved of the Lord and sings His praise with passion. An ideal tool for practicing Abhinaya or choreographing recitals.